The audiobooks and eBooks in our digital collection are compatible with many different eBook readers and audio players -- but not all devices. OverDrive has a Device Resource Center page. If you have a "dedicated" eBook reader, view the "eBook Only" section. The e-Ink Kindles, Nooks, and other compatible eBook readers will be listed here. Note that the Kindle will show that it only works with Kindle Books. The Nook will work with the EPUB and Open EPUB (OEPUB) in our collection. Color devices such as the iPad, Kindle Fire, Nook HD, and a wide variety of other entertainment tablets will be listed under the "eBook & Audiobook" section. Most color devices have the ability to be used to read eBooks and play audiobooks! And don't forget to check out the compatible audiobook devices! MP3 audiobooks are digital versions of the books on cassette tape or CD that your local library lends. The audiobooks are read by professional readers. They can be played from a PC or a Mac, and they, too, can be transferred to a compatible audio player to be enjoyed on the go. The MP3 audiobook contain no DRM (Digital Rights Management) and can be played on nearly any device that can play audio. MP3 audiobooks can be downloaded to a Windows computer and transferred to an iPod/iPhone/iPad or to a wide variety of audio players or downloaded to a Mac computer and transferred to an iPod/iPhone/iPad. MP3 audiobooks cannot be viewed or downloaded to a Chromebook computer. 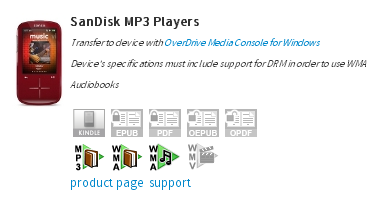 MP3 audiobooks can also be downloaded directly to the mobile version of the OverDrive Media Console for the iOS (Apple mobile devices), Android, Blackberry, and Windows Mobile phones. The MP3 audiobooks are the preferred audiobook format to purchase, but not all publishers produce MP3 digital audiobooks for libraries to purchase. 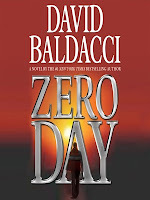 Audiobooks circulate for a period of 7 or 14 days. MP3 audiobooks can be returned through the OverDrive Media Console for Windows or returned from the OverDrive Media Console mobile app. It is now possible to listen to audiobooks without installing a program on your computer or an app for your tablet or smartphone. 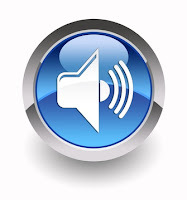 The vendor has introduced a new streaming audio format called "Listen." The listen format requires a constant internet connection. This is a better solution for people listening to audiobooks at home on a local area network -- and not on the go. The Listen format is a good solution for Chromebook users who are not able to download an audiobook from NHDB (as Chromebooks cannot download additional software). View the OverDrive Listen handout. Adobe EPUB ebooks are digital versions of printed books that can be read on a variety of electronic reading devices like the Nook, Kobo, iPad, Google Nexus, and many different types of phones. The Adobe EPUB format has Adobe DRM. The EPUB eBooks can be downloaded and read on a PC or a Mac and transferred to a compatible device. Adobe EPUB eBooks cannot be viewed on a Chromebook computer. The EPUB eBooks included Digital Rights Management (DRM); the DRM is managed by the software Adobe Digital Editions. 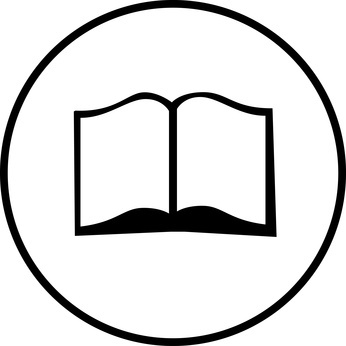 Both PC and Mac users may download and install Adobe Digital Editions and authenticate their computers with an Adobe ID to read Adobe EPUB eBooks on their computer or transfer the eBook to their compatible Nook, Sony, or Kobo device. The Adobe ID used to authenticate the computer must be the same ID used to authenticate all mobile reading devices. Note that a maximum of three computers and three mobile devices can be authorized with the same Adobe ID. EPUB eBooks can be downloaded directly to many devices with the use of the mobile website and the OverDrive Media Console app for iOS or Android. EPUB titles circulate for 7 or 14 days and can be returned early through the OverDrive Media Console, Adobe Digital Editions (for PC or Mac), or through the OverDrive Media Console mobile app or Bluefire Reader mobile app. Open EPUB ebooks are digital versions of printed books that can be read on a variety of electronic reading devices like the Nook, Kobo, iPad, Google Nexus, and many different types of phones. The Open EPUB eBooks have no DRM. The Open EPUB eBooks can be downloaded and read on a PC or a Mac and transferred to a compatible device using Adobe Digital Editions. Open EPUB titles cannot be viewed on a Chromebook computer. The Open EPUB eBooks have no DRM (Digital Rights Management). Open EPUB eBooks can be downloaded directly to many devices with the use of the mobile Web site and the OverDrive Media Console app for iOS or Android. Open EPUB titles circulate for 7 or 14 days and cannot be returned early. Kindle Books are digital versions of printed books that can be read on a Kindle device or a Kindle app compatible with numerous smart phones like the iPhone, Android phones, Blackberries, etc. Most, but not all, of the eBooks in our collection are compatible with Kindles. The Kindle Books must be used with a Kindle device or app. They cannot be transferred to a dedicated reader that uses the EPUB format (like the Nook, Kobo, Sony Reader, etc.). Note that Kindle Books can be transferred to a Kindle reader via USB. Kindle apps can be installed on a wide variety of Apple, Android, Blackberry, and Windows smart phones and tablet devices. The Kindle Books circulate for 7 or 14 days can be returned early to the collection through the user's "Manage My Kindle" page. Learn more about enjoying Kindle Books. OverDrive READ is a browser-based format that allows you to read the eBook on your computer or mobile web browser. There is no additional app required (beyond a compatible web browser). Use the OverDrive READ eBook on a computer (Windows, Mac and Chromebook), tablet, or phone. Not all web browsers work well with the OverDrive READ format. 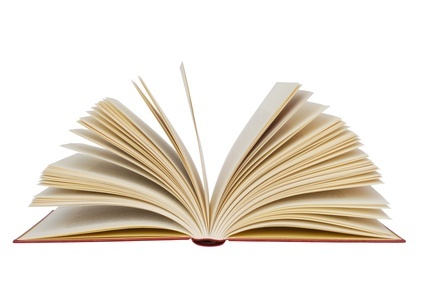 If the page doesn't render well, stick with the Kindle Book or EPUB format. OverDrive READ eBooks circulate for 7 or 14 days can be returned early from the NHDB Site >> Account >> Bookshelf, unless another format has been selected, in which you will return the Kindle Book or Adobe EPUB eBook. Note that all formats may not be displayed on your mobile device. For instance, Nook browsers will not display the Kindle Book format, as the Nook is not compatible with Kindle Books, etc. All formats can be viewed on a Windows computer. Chromebook users will only see the Kindle Book and OverDrive READ format and will only show audiobooks available in the Listen format.